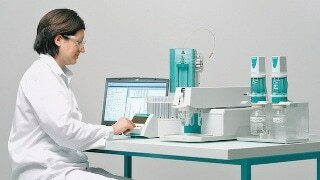 The 797 VA Computrace from Metrohm is a modern voltammetry stand designed for trace analysis of metals and other electrochemically active substances. It has superior sensitivity and specificity, thus enabling it to realize detection limits as low as the ppt range, even if there is high salt concentrations. 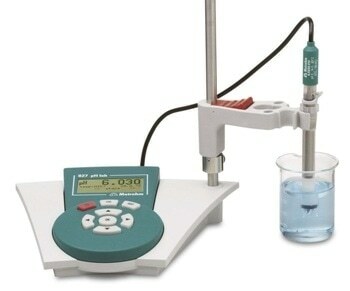 The user-friendly PC software is provided as a part of the VA instruments. It helps in controlling the measurements, and recording and testing the measuring data, thus facilitating a direct and simple measuring process. Since the software is based around the Windows operating principles, it provides intuitive handling. The fixed technique structures in the Computrace software guarantee that the determinations are speedy and simple. This is a practical feature, principally for regular applications. MVA systems are equipped for manual operation, 100% automated analyses, and for semi-automated operation with the help of Dosinos and additional pumps. Upgrading the MVA systems to higher automation levels can be easily done whenever required through the addition of the required units, including sample changers, Dosinos, and pumps.